Pat Paslawski and his Yukon rink have picked up right where they left off at last year’s Dominion Club Curling Championships. 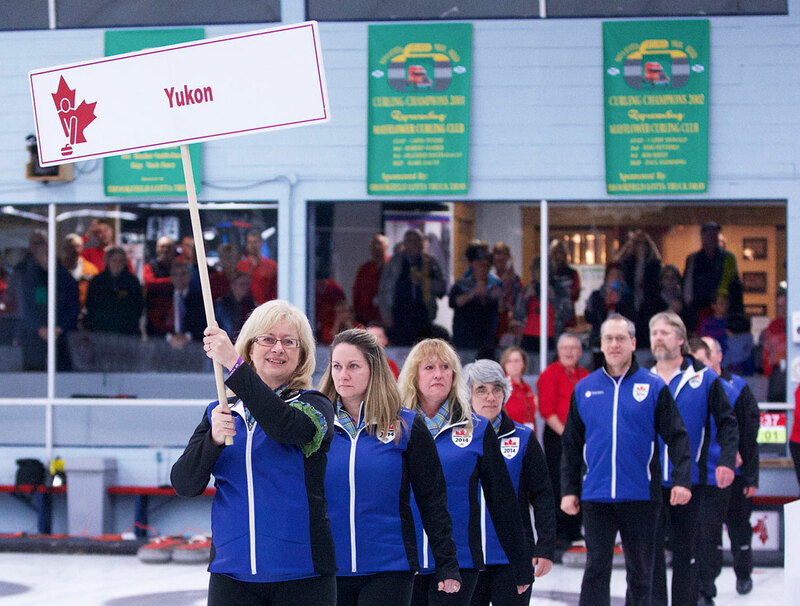 Last year, Paslawski became the first skip in Yukon history to lead a team to the playoffs at the national event, followed quickly by women’s skip Nicole Baldwin. While a semifinal loss ended his team’s magical run, the 48-year-old and his crew have returned to the club championships again this season. This year’s event is being hosted at the Mayflower Curling Club in Halifax. Now known as the Travelers Club Curling Championship, Paslawski’s rink improved to 3-1 today with an 8-2 win over the Northwest Territories. The rink started the tournament with two straight wins – 7-5 win over Northern Ontario and 6-5 win over British Columbia – before losing 9-3 to Alberta last night. Now 3-1, the Yukon is ranked second to Alberta in their pool. “We are in a tough pool where we have to play against Alberta and Manitoba, the two strongest curling provinces,” Paslawski said in an email to the Star. “But we played hard against Alberta and hung in there ’til the end. Paslawski’s teammates include third Doug Hamilton, second Trent Derkatch and lead Gary Brown. Brown replaces Alexx Peech from last year’s squad. Following their game against Manitoba tonight, Paslawski and co. will conclude pool play against New Brunswick tomorrow. Paslawski said playing at the historic Nova Scotia curling club has been a surreal experience. “The Mayflower is a shrine in the curling world, just like the Montreal Forum in the hockey world,” he said. “It’s a magical, once-in-a-lifetime week where we play the game we love, in a holy place, and against players who love the game. This year’s Yukon women’s entry is led by Sherry MacInnis of Atlin, B.C. She and teammates Daniyel McNeil, Bev Murphy and Janis Harper have had a rougher start to the club championships. The Atlin rink lost 15-4 to Northern Ont. and 7-2 to B.C., before losing 8-2 to Alberta last night and 11-3 to the N.W.T today. Their 0-4 record has them ranked last in their pool. The Travelers event comes on the heels of the Canadian Mixed Curling Championship in North Bay, Ont. There, the Yukon entry led by skip Bob Smallwood finished with a 5-4 record after missing the playoffs.